Bring in glam and beauty this Lunar New Year by making sure you have these must-have hair products. Start the Year of the Earth Pig right by ditching the old and saying hello to the new. That being said, it’s time to cultivate new habits, including a healthier hair care routine. If you dry your hair with a towel, quit that now, because it causes breakage, frizz, and hair damage. Do you brush your hair when it’s wet? Ditch this nasty habit as well and start brushing your hair the right way. Stock up on hair essentials as well that address your hair needs both in the styling and hair care department. Here are some must-have hair products to put in your beauty arsenal this year. Salon treatments help a lot in maintaining your hair, but they can be pretty expensive. 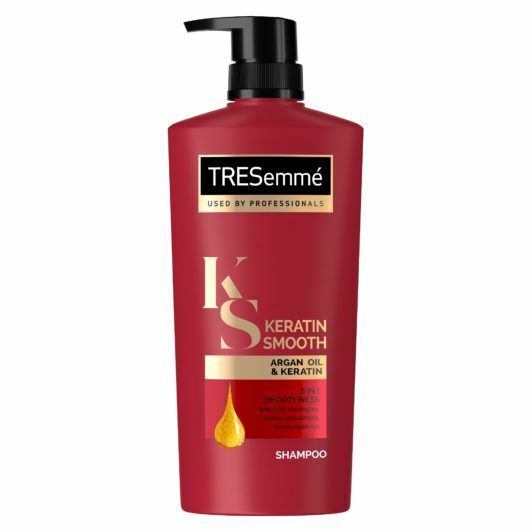 Skip these (or get them less frequently) and save money by washing your hair with TRESemmé Keratin Smooth Shampoo. It helps make your hair sleek and manageable. It also gives you longer lasting straight hair—perfect for when you’re going for a pin-straight down do. If you have salon-treated hair, like rebonded, dyed, or permed, this is also the shampoo for you. Washing your hair isn’t complete without conditioner. 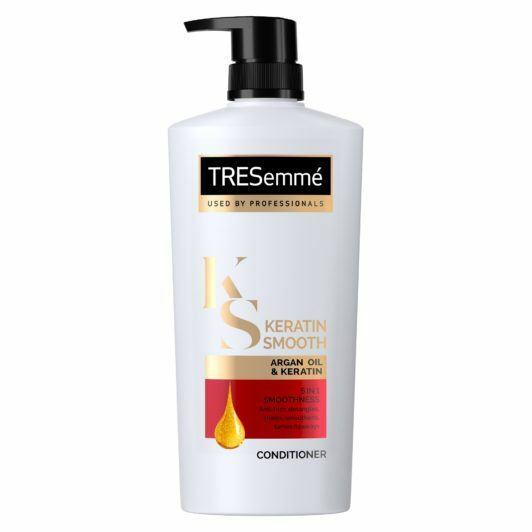 Nourish your hair strands by using TRESemmé Keratin Smooth Conditioner after shampooing. It helps minimize frizz, making your hair smooth and easy to style. Use this conditioner regularly to have salon-gorgeous hair every day. 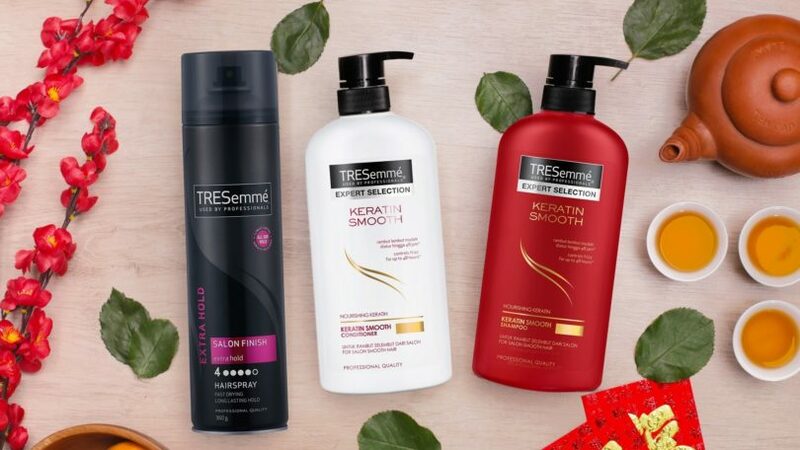 For your styling needs, you can always depend on TRESemmé Salon Finish Extra Hold Hairspray. It can withstand humidity, so your hair won’t fall flat hours after styling. Its lightweight formula also won’t weigh your hair down, giving beach waves and updos the right amount of hold that they need. This hairspray can also keep frizz under control, so sleek hairstyles stay smooth for hours. 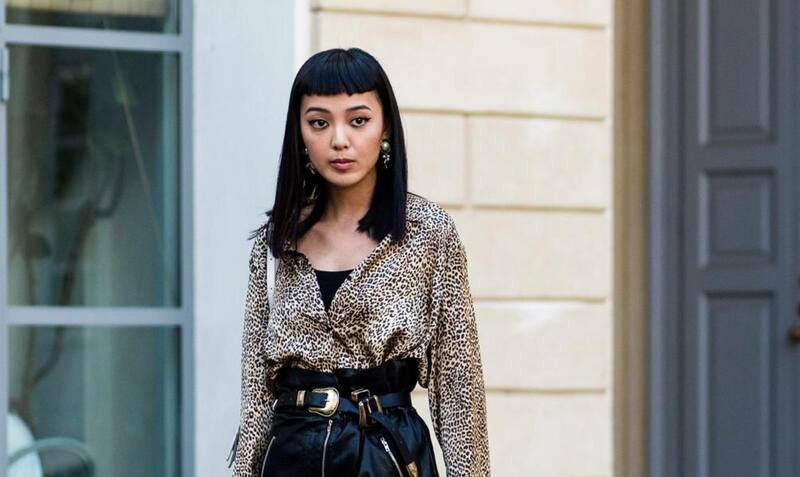 Bangs have been in for quite some time, and they’ll continue to be on trend this year. Try an edgy take on fringe by going for baby bangs. They’re shorter and require more maintenance than regular bangs, but once you see the final look, you’ll be amazed. Nail this ‘do by keeping your hair sleek, straight, and frizz-free. Bring out your hair clip and headband collection. 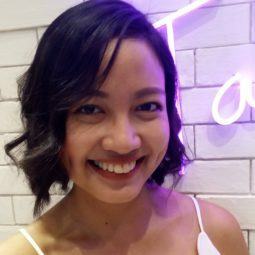 Hair accessories can instantly perk up a plain hairstyle, not to mention they are super uso this year. Hair accessories can add a playful touch to your everyday look, especially when you want to show your personality through your hair. Feel free to experiment with different hair clip hairstyles as well. Want a simple but polished look? Put your hair in sleek, low ponytail. Be a stunner in a simple ponytail by making it smooth and polished. This hairstyle suits a sleek corporate attire and helps add a boost of confidence when you need to nail that presentation. Get rid of frizz by spritzing hairspray or applying hair serum on your tresses after styling. Now, it’s time to go shopping and get your hands on these must-have hair products. 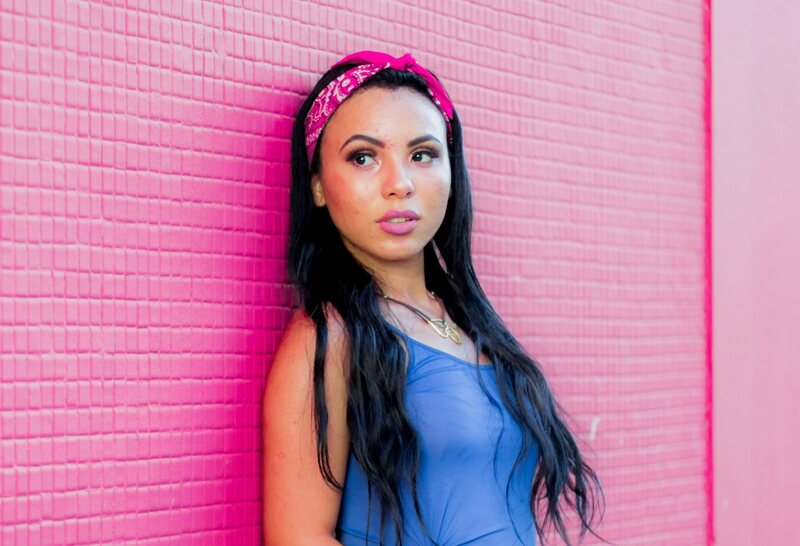 Keep the glam going this year by making sure that your hair is healthy, strong, and beautiful. Also, bookmark this page so you stay up to date with the latest hairstyles, tips, and hair trends. Next read: Time to revamp your look! Take a break from your long tresses and get a haircut. Let these chic shoulder-length haircuts inspire you to get that much-awaited makeover.